Engage with USAID staff and partners to collaborate on shared goals, learn from collective experience, and adapt to change throughout USAID’s Program Cycle. Based on the CLA Maturity Tool, these handouts demonstrate what the stages of CLA maturity look like. A Spanish version is coming soon! This new tool provides tips and resources for navigating the staff transition process! Unsure about how to best resolve a challenge in your programming? This decision tree can help. Just added to the CLA Toolkit: a new set of tools and resources for enhancing your team's culture! 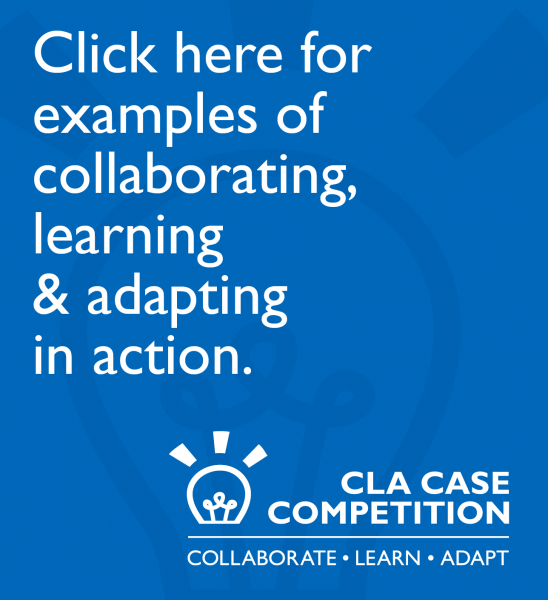 Looking to build your CLA skills? Check out this new CLA course!